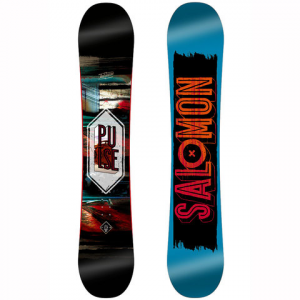 Get all-mountain versatility at a killer price with the Salomon Pulse men's snowboard. A directional twin shape offers freestyle symmetry and a directional flex that is stiff towards the tail for added ollie pop and control. Bite Free Edge finishing reduces hang ups and loosens up the tip and tail for easy and playful turn initiation. Learning the basics and progressing to the next level has never been so fun.